They finally satiated their fans with the release of Random Access Memories way back in 2013, so robotic dance duo Daft Punk have turned themselves into a straight-up merch company ever since. 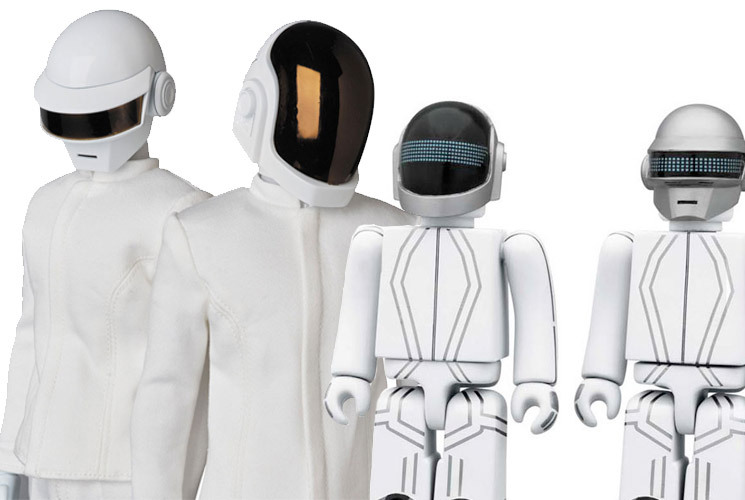 They've dropped skateboards, yo-yos and frisbees, and now they'll add some more action figures to the Daft Punk collection with a brand new set. When they appeared on the Grammys in 2014, Daft Punk wore classy white robot suits. Now, you can relive that glory at home with some brand new Grammy-themed action figures. Stereogum points to a listing on the toy site AmiAmi, where you'll find a series of new Daft Punk figures. There are standard, white-suited action figures listed for 18,630 yen (approximately $200 CAD each) and a two-pack of Kubrick figures that'll run you 2,240 yen (about $25 CAD). Peep the action figures above, and watch a video displaying the toys below.